A mother and entrepreneur; self made and ambitious. Meet Ramona Singer, a truly motivated woman in all aspects of success. Luxury Skin Care Essentials. I plan on living to be 100. I don’t mind getting older, but I want to look the best I can. 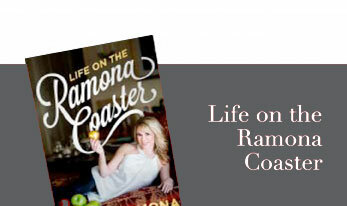 In this heart-wrenching and hilarious memoir, Ramona offers readers a look into her life. Never have her fans seen her so introspective and honest.